What to expect from a Northern Lights tour in Iceland? Congratulations and welcome to Iceland! You have booked your tour to see the elusive, almost devious, Aurora Borealis, aka the Northern Lights. But, now what? You’ve been told it’s a natural phenomenon, right? And that a sighting is ultimately up to Mother Nature, correct? So, what can you really expect from a Northern Lights tour in Iceland? In this article, I will attempt to answer most if not all the questions you may have, practical questions like; how to prepare and what to expect. Chances are, and I’ll assume so, that you booked your tour with a reputable company with an ambition to provide excellent service. Life hack: For a quick summary of essential outtakes, scroll down to the very end of this article. There are some repeated mistakes customers make that can lead them to either miss their tour completely or having to pay penalty fees. 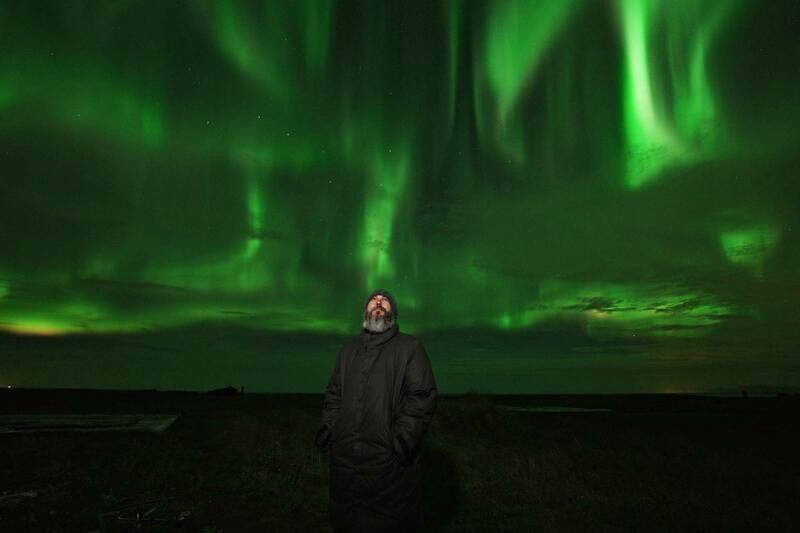 You invested your time and money into coming to Iceland, to see the Northern Lights. Now invest your time to not botch it up due to a practical mistake. Companies operating from Reykjavik normally limit their pick up zone to the downtown Reykjavik area. Minibuses, big buses and some other large or heavily modified tour vehicles are restricted from certain areas in the city center and may only stop at designated bus stops. Some operators allow for a custom address input when booking online. If you add a custom address, please make sure the address is within the pickup area specified in the tour description. 2) Your tour is cancelled due to weather but you don’t know and wait in vain. Northern Lights tours in Iceland are often cancelled due to poor cloud cover or poor space weather conditions. This is a very good thing as it reduces your chances of paying with money and time for a cloud chasing tour. It varies how operators communicate this information. Some send e-mail notifications while others publish the info on their website or Facebook page. Don’t expect a personal phonecall. Find out where, when and how your tour operator communicates cancellations to avoid disappointment. It is highly likely that you will find this information on the operator’s web page, brochure or your booking voucher/ticket. Knowing that your tour has been cancelled gives you a chance to plan something else, rather than wait for a pick up that never arrives. Chances are, you will be sharing a vehicle with other people. Hence, the vehicle needs to do a few pick up stops. For this reason, all Northern Lights tour operators work within a time range starting anywhere from 30-60 minutes before your listed departure time. You need to be ready and visible at your chosen pickup location at the beginning of the pick up time range. It could happen that you are last on the pick up list so expect to wait until the listed departure time. You could also be the first on the pick up list, so make sure you are there from the start of the pick up time range. A certain booking system, widely used by tour operators, sends you two documents upon booking confirmation; a. An invoice and b. A voucher/ticket. The invoice may state the departure time whereas the pickup time range and other essential tour details will most likely only be on the voucher/ticket. Make sure you inspect this information beforehand to avoid becoming a no-show which is just like missing your flight. You will be left behind and you won’t be refunded. Oh, you’d be surprised! Especially on busy nights with a crazy good forecast. Donald may be so overly excited that he might respond to a guide calling the name Hillary in all the havoc on a crowded pickup location. Yes, this happens. If the driver/guide then takes Donald’s word at face value, he ends up in the wrong tour, and Hillary gets left behind. Life hack: Have your ticket either printed out or accessible on your smart phone. Identify the name of the operator you booked with and the one who is trying to lure you into the vehicle. Do you have a match? Great! Some international booking agencies do not mediate part or all of the contact information when customers book. This may require the tour operator to use a proprietary communication platform provided by the booking agency. Be mindful of this and familiarise yourself with how notifications will be sent to you or if you will have to check it proactively. Northern Lights tours are, by nature, dictated by the forces of nature. The route and location where you stop are largely dictated upon the cloud cover. For optimal viewing, one needs to be away from light pollution. Therefore, restroom stops cannot always be guaranteed. Boats and some coach tours have onboard restrooms though. Familiarise yourself with the non-sighting policy of the tour operator you booked with. Most operators in Iceland offer free re-runs in case of a non-sighting. However, there is a caveat. The re-run requests are of course dependent on availability as customers that have booked the following night can’t be thrown out to clear seats for re-run customers. It probably pays off to request your re-run as soon as possible. Some evenings you may notice that some operators go ahead with their tour while others cancel. This is normal as tour operators are working with forecast data and with such data, there is always room for interpretation. As mentioned at the beginning of the article I’m assuming you have selected a reputable company. Therefore, I’m sure that your tour operator is making the best decision they can, based on what information they have and what is their area of operation or duration of the tour. You might be one of the lucky ones to find yourself standing under a sky on fire! The Northern Lights can be just breathtaking. But, did you dress for the occasion? You’ll be standing still, outside, in Iceland, in the middle of the night, in the middle of nowhere. Being cold tends to take the fun out of everything. And if it’s windy (most often is) the chills overtake you fast. Check the weather forecast in terms of temperature, and precipitation before you go out. Dress as warmly as you need for the conditions you are about to face. Or better yet, just assume it will be freezing cold and dress for that occasion! If you come from a country that has similar temperatures to Iceland, you should have a reasonably good idea about what you are getting yourself into. However, the wind cooling effect does catch even most of our neighbors by surprise. If you come from a warm climate be aware that your version of “warm clothing” might be what the local Icelander would consider underwear when going on a summer hike. I’m going to repeat this: the wind cooling effect does catch most by surprise. In general, layering up is the best thing you can do. Warm and fluffy on the inside covered with a windbreaker. If you are bringing a camera, do yourself a favor and work on the settings before the tour. Don’t assume that the guide knows how to operate your camera. In fact, you should expect that he doesn’t. There are two reasons for this. One is that you don’t want to be tampering with your camera while others are in awe of some Northern lights that might well have faded or disappeared when you are finally ready to say cheese. The other reason is that you should preserve your night vision as much as possible. It takes our eyes a long time to adjust to the dark and thus seeing the northern lights more clearly, but it takes only a second of looking into white light (such as your camera settings screen) to lose your night vision. Check out our guide on How to Photograph Northern Lights. That the Kp-index forecast is a probability scale and/or that it takes clouds into account. Wrong. The Kp-index scale is not a probability scale. It goes from 0 to 9 but in reality, the most common Kp-index forecast is between 2-4. You almost never see it go above 6. A kp-2 forecast is actually great for Iceland as we are sitting right underneath the Aurora Oval. The weather forecast app on your i-Phone is showing a rainy cloud for tonight. Do not despair. On many evenings, there may be precipitation over and around your accommodation but clear skies a 30 minute drive away. Northern Lights tour operators base their GO / NO GO decisions primarily on sophisticated cloud cover forecast models rather than a simplified crude model that tells you that rain can be expected in a specific area at some time today. There can even be times that operators opt to go out on what to you looks like a rather cloudy night if the data suggests that clear skies can be expected at a specific location within driving distance or during some parts of the evening. The free re-run is your quality assurance when it comes to the integrity of the operators decision. The operators, in fact, share the risk with you as taking customers out twice for one price is expensive. Did you just Google the Northern Lights in Iceland or Aurora Borealis? Do you subscribe to the hashtag #northernlightsphotos on Instagram? And are you now assuming that this is what you’ll see? You could be right, but it’s more likely that you are wrong. And I’m not even sorry for busting that bubble my friend, it’s necessary! The vividness and intensity of the Northern Lights vary wildly, due to different scientific reasons you can read about on this page. On most nights you won’t even have a clear view of them as the conditions will likely be either partly or on and off cloudy. Many factors need to come together for Northern Lights to appear in the first place. For them then to be at the top of their game space- and Earth weather need to be optimal. And as we all know, weather varies, and then so does the Northern Lights visibility. Thankfully, No lights are the least likely scenario, while Good lights are the most likely. This means that if you booked your tour under the impression that you were booking an Instaselfie with Amazing lights, you may be setting yourself up for disappointment. Of course I wish for everyone to experience only the best, but this is a natural phenomenon and well outside the control of mere mortals. Life hack: Lower your expectations and expose yourself to the chance to experience a unique natural wonder! If you see Amazing lights, great! You just won the Aurora lottery. If you see Average or Poor lights, be thankful for what Mother Nature gave you and appreciate the fact that you saw a natural miracle. If you see No lights we’ll understand your disappointment, but don’t see your tour as unsuccessful. You went hunting, you had a good chance and you tried. And you have that free re-run to look forward to! Worst case scenario: you don’t see the Northern Lights on your tour and you can’t use your free re-run or worse yet, you have a second non-sighting tour. Northern Lights tours are cancelled roughly 50% of the time due to poor Earth or Space weather conditions. A good operator will be able to deliver a sighting rate of 80-90%. To avoid extreme disappointment it is important that you be fully aware of these facts and the possibility that you might be one of the unlucky ones to leave the country without a sighting. I bet your Instagram feed is filled with photos of absolutely breathtaking Northern Lights, mirrored in a still lake with a Starbright sky and no clouds. Right? Ok. Here’s the thing. Cameras can collect light which is something that our eyes can’t do. By collecting light, I mean the exposure time can be manipulated. If a camera receives the light for say 5 seconds, the lights are going to be more vivid on the photo than they are to your eyes as you look at them. This is the advantage that the camera has over the human eye. However, the camera can’t see the delicate motion in the Northern Lights. The dance, the bursts, the drapery movement, the magnificent “corona” (explosion of colour and light above your head) or the river of light, ebbing and flowing all around you. This is the advantage the human eye has over the camera. If Northern Lights operators were to cancel every night the sky is not completely clear, you could expect a total count of tours in a season to be about nine. There are only about eleven days on average, per year, when you have NO clouds over the whole island. Most often the sky is partially cloudy. For low Auroral activity nights an operator would prefer light cloud cover, whereas for high activity forecast a GO can be justified in cloudier conditions. Just bear in mind that on the night of your tour the sky will most likely be at least partially cloudy and there may even be periods of a fully cloudy sky. That said, thanks to high winds produced by the Iceland Low in winter, the skies can clear up quite quickly. Familiarise yourself with crucial data about pick up locations and pick up times so you won’t miss your tour. Have your booking ticket printed out or accessible on your smart phone, know the name of your tour company. Make sure you don’t join the wrong tour on a crowded pickup location. Layer up for a very cold night outside. Northern Lights are a natural phenomenon over which we have no control. Your operator has made the best judgment call on whether or not to go ahead with the tour. A forecast is indeed a forecast. Don’t set yourself up for disappointment with high expectations, be happy with what Mother Nature gives you.